The LDA has been found eligible for inclusion on the 2006 Combined Federal Campaign (CFC) National list. Each year, federal employees can contribute to charities that meet the requirements of the CFC. The LDA’s CFC identification for donors is #9351. See your federal employer for details. Check the CFC website at: http://www.opm.gov/cfc/. Thank you for your donation! Hundreds of patients from throughout the country will rally outside Westchester Medical Center/NY Medical College in Valhalla, NY, from 12pm to 3pm today, to protest the latest Infectious Diseases Society of America (IDSA) guidelines for Lyme disease. Read Pat Smith’s speech. View Rally pictures. Andy Holzman, Manchester (VT) Rotary Board Member, presents check of proceeds from Gear Up for Lyme Uphill Bike Climb up Mt. Equinox to Lyme Disease Association President Pat Smith (L) at the 7th annual Lyme & Other Tick-Borne Diseases conference in Philadelphia, October 20, 2006. On stage also are Time for Lyme (TFL) President Diane Blanchard and Dr. Brian Fallon Columbia University College of Physicians & Surgeons. 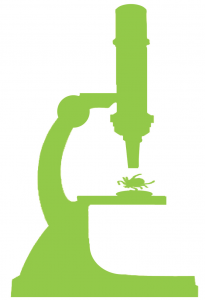 LDA and TFL are working to open an endowed research center at Columbia for chronic Lyme disease, and LDA announced at this time that there is only $100,000 left to reach the $3 million goal. The Rotary has hosted the bike climb for three years now splitting proceeds between LDA and charities of the Rotary. Lyme Disease Association President Pat Smith presents a plaque to retiring Dr. Joseph Burrascano, Jr. on behalf of LDA, all its chapters, affiliates, supporters. 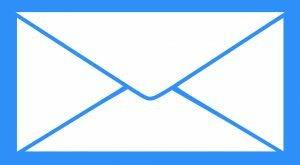 Let your voice be heard on the IDSA Guidelines issue! For physicians & health care providers. The public is invited to attend. 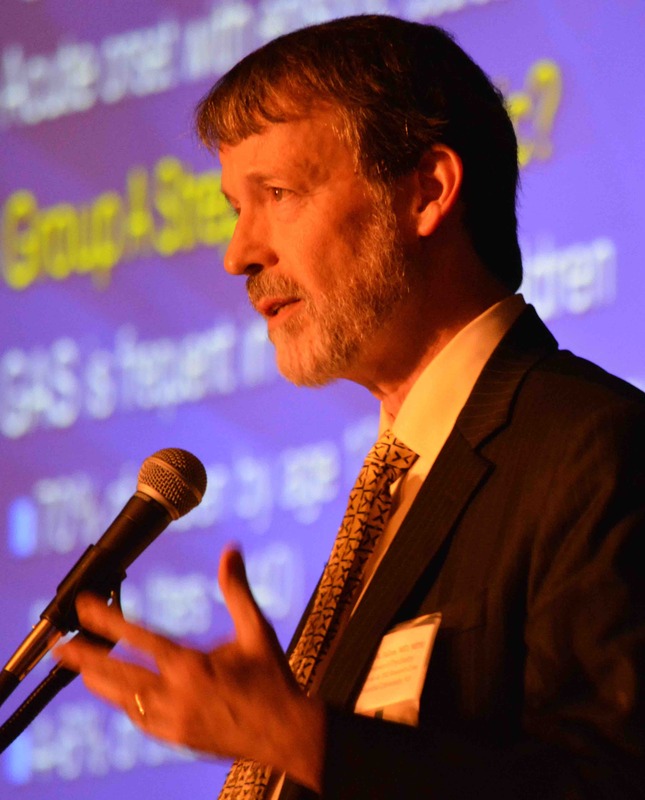 LDA’s 7th Annual Conference: Lyme & Other Tick-Borne Diseases: Seeking Answers Through Science. Open to ILADS members & to all medical doctors. The national Lyme Disease Association (LDA) is pleased to announce that WPLJ (95.5 FM), Manhattan, will be doing an interview on Lyme disease with Pat Smith, LDA President, on Tuesday, September 19, from 5-5:30pm. The interview with host Rocky Allen will be followed by an on air auction from 5:30-6:30PM. Proceeds of the auction will go to the Lyme Disease Association to be used toward the establishment of the Endowed Chronic Lyme Disease Research Center at Columbia University─a joint project of the Lyme Disease Association and Time for Lyme, its Connecticut affiliate. Additionally, Thursday, September 21, WPLJ’s Rocky Allen will be broadcasting his show live from 3-7PM at the Hard Rock Café, Times Square. LDA has a limited number of tickets still available for sale for the program at $100 each, the proceeds going to LDA to be used toward the Columbia Center. Visit www.LymeDiseaseAssociation.net for details on ticket ordering and visit www.wplj.com for the all-star lineup for the Thursday show at Hard Rock Café. LDA and WPLJ at Hard Rock Café. Thanks Rocky & PLJ! DJ Rocky Allen from WPLJ and Lyme Disease Association President, Pat Smith, at the Hard Rock Café in Times Square, September 21. Rocky broadcast his Second Annual First Anniversary Show, and Ms. Smith and LDA Vice President for Technology, Corey Lakin, attended as guests of PLJ. LDA also had a staffed information table at the Café. Earlier that week, PLJ did a live on-air benefit auction for LDA and also donated tickets for LDA to sell for the Anniversary Show. All proceeds raised for the LDA are going to the endowed Columbia Chronic Lyme Disease Resource Center, a project of LDA and Time for Lyme, its Connecticut affiliate. LDA WILL BE THERE. WILL YOU? Host Rocky Allen from WPLJ 95.5 radio in NY is having a party and LDA is invited. You are, too. LDA has 20 tickets to the Anniversary bash on Thursday, September 21. You can purchase the tickets directly from the LDA. The show will be broadcast live from 3-7pm from the Hard Rock Café. Live music, live comedy, special guests, and some of the Showgram antics you love done LIVE, special for the show. All studio audience members will have the chance to win prizes EVERY HOUR during the show. Tickets are $100 each, with ticket sales to benefit the Lyme Disease Association. Remember, only 20 tickets are available for sale. No other tickets will be sold, but tickets may be won through WPLJ. See details of the event on http://www.wplj.com/home.asp. Featured speakers: Dr. Brian Fallon; Dr. Richard Horowitz; Dr. Steven Phillips; and Pat Smith, LDA President. The Manchester VT Rotary is sponsoring its annual Gear Up for Lyme Bike Climb up Mt. Equinox. Each year, the Manchester Rotary sponsors this event and donates half of the monies to the Lyme Disease Association to be used toward the proposed Columbia research center and half toward its own local charities. LDA President Pat Smith will briefly speak to the riders at the “After the Race” awards ceremony and barbecue. Dr Joseph Jemsek (center) of the Jemsek Clinic, Huntersville, was a speaker at the North Carolina Lyme disease forum co-sponsored by the North Carolina Lyme Disease Association (President, Dr. Beth Jordan – L) and the national Lyme Disease Association (President, Pat Smith – R) The photo was taken at Dr. Jordan’s Duraleigh Animal Hospital in Raleigh. Daryl Fights Back. Thank you, Daryl. Daryl Hall now has Lyme disease and he is trying to help the Lyme cause by promoting Lyme disease awareness. 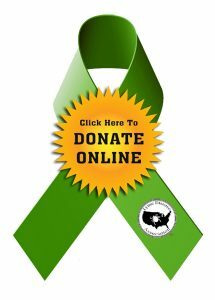 Go to http://www.hallandoates.com/ and click on Links, then For more information of Lyme disease, then Daryl’s Ticknology page. Thanks Daryl, for joining our efforts to fight this debilitating disease. Together, we can find the answers. Lyme Disease Association Southeastern Pennsylvania and the national LDA present “Lyme Disease: An Emerging Epidemic”, Saturday, June 10 at Garnet Valley Middle School, Glen Mills, PA. Dr Ann Corson, Medical and Social Impacts of Lyme Disease; Dr Harvey Kliman, President LDASEPA, Lyme Disease in SE PA; Ed Tate, DEET Education Program, How to Properly Apply Repellent; and Pat Smith, President, LDA, National Overview. Admission is free. Patients have organized a Lyme Rights Rally Gain to gain recognition for this national health crisis, support physicians, and support Lyme literate physicians. Friday, June 2, 2006, 1-3 pm, State Capitol Building, Hartford, CT. Guest Speakers: Connecticut Attorney General Richard Blumenthal; Joseph Burrascano, MD; Brooke Landau from E! Entertainment; Sandy Berenbaum; Pat Smith, LDA President. For more information: lancaster60@aol.com. The Newtown Rotary Club (CT) invites you to attend an informational lecture on Lyme disease, Monday, May 22, 2006, 7-9 pm. Doors open at 6 pm, Speakers start at 7 pm. The Fireside Inn, 123 South Main St., Newtown, CT. Admission is FREE and open to the public. 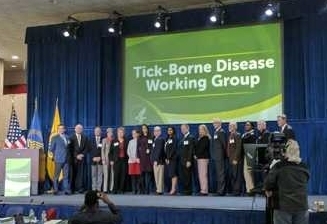 Speakers: Richard Horowitz, M.D., President-Elect for the International Lyme and Associated Diseases Society, Inc.(ILADS); Pat Smith, President, Lyme Disease Association Inc. The Owl Mag, who’s who in Bay area music, is sponsoring a benefit concert for LDA’s LymeAid 4 Kids on April 8, 2006 at Studio Z in San Francisco, featuring Saoco, Bucho, Sila, and the Afro Funk Experience with the Matt Berkeley Trio. It is supported by IGenex Labs. 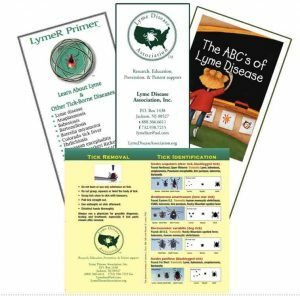 The Lyme Disease Association and the North Carolina Lyme Disease Foundation Present: Lyme Disease Seminar in Raleigh, NC at the North Raleigh Hilton, Wake Forest Road (turns into Falls of Neuse later), Saturday, March 25th, 2006,1PM-5PM. Speakers: Joseph G. Jemsek, MD, Jemsek Clinic, Huntersville, NC; John Pittman, MD, Carolina Center for Integrative Medicine, Raleigh, NC; Pat Smith, President, Lyme Disease Association; Susan Little, Executive Director, DEET Education Program; & Judi Anderson DEET Education Program (President, Kroeger Associates, Inc.). The event is partially supported by an education grant from the DEET Education Program. Free admission includes refreshments, information and a Question and Answer session. Open to the public. Contact vetrelief@earthlink.net for details. Lyme Disease Symposium – Free and open to the public March 25, 2006, 8:00 AM-4:30 PM Co-sponsored by: Mid-Shore Lyme Disease Association, Inc., Chesapeake College and University of Maryland Cooperative Extension Service. Supported by an educational grant from the Lyme Disease Association, Inc. Todd Performing Arts Center, Chesapeake College, Maryland Historic Wye Mills on Routes 50 and 213, 1000 College Drive, Wye Mills, Maryland (Queenstown, MD 21658). Speakers: Dr. Joseph Burrascano, Dr. Charles Ray Jones, Dr. Ritchie C. Shoemaker, Dr. Robert Ding, Dr. John Fish, US Representative Wayne Gilchrest’s Chief of Staff –Tony Caligiuri, & Bayer Environmental Group. Registration is required. CMEs are pending. Contact Linda Reilly 410 822 3164 begin_of_the_skype_highlighting 410 822 3164 end_of_the_skype_highlighting or scenic@dmv.com for information.